We’ve been breeding Australian Labradoodles for almost ten years now, and have been so blessed to be a part of this amazing breed of dog. 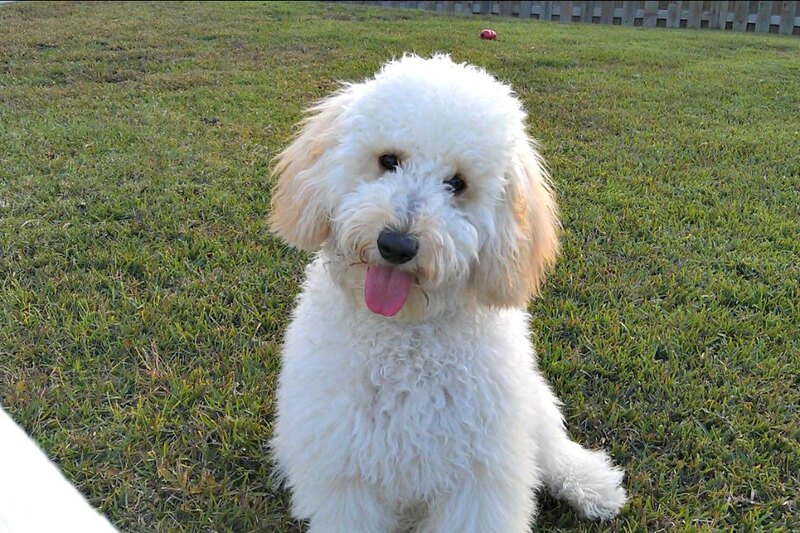 We have experienced the pleasure of owning Labradoodles, but also bringing happiness to so many families that have choose to add a Labradoodle to their family. Check out our Custom Vinyl Decals! 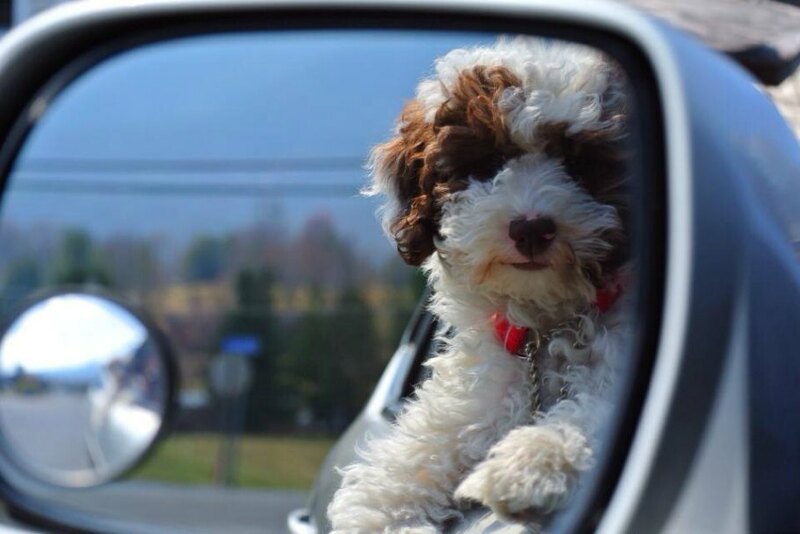 Inspired by our Larbadoodles, we've create a great collection of Labradoodle Car decals, coffee mugs, whiskey glasses and wine Glasses. Australian Labradoodles are very intelligent. Their parent breeds are some of the most intelligent breeds around. Unlike F1 and F1B Labradoodles, Australian Labradoodles are incredibly reliable when it comes to a lack of shedding. 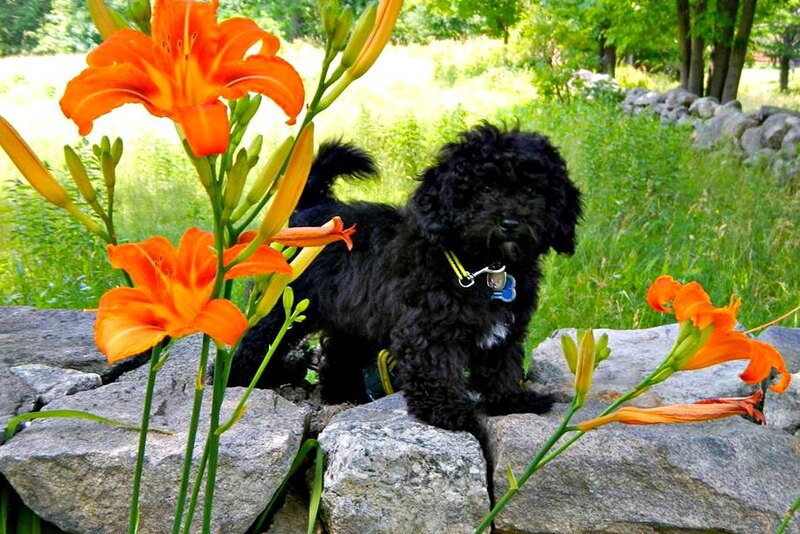 The Australian Labradoodle is also very reliable when it comes to being allergy & asthma friendly. These are the qualities we want in our puppies. 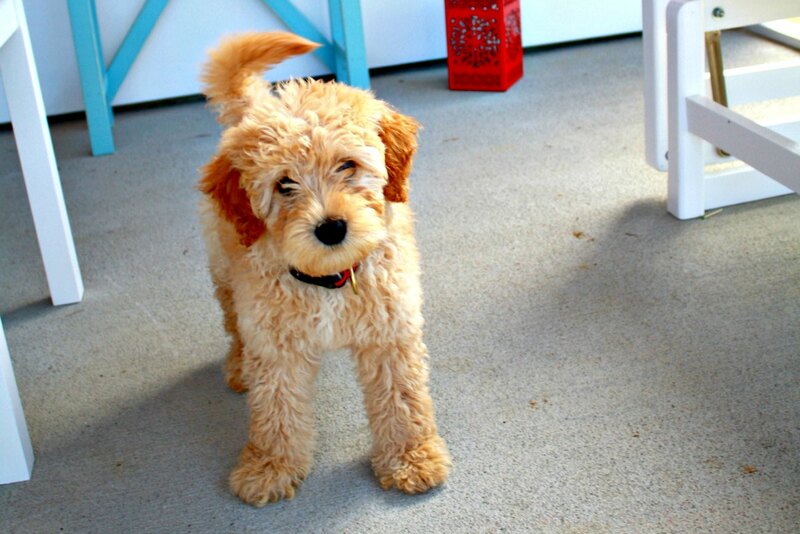 Australian Labradoodles come in three different size ranges. while the classification may vary slightly from breeder to breeder, they are generally the same Size range. Well little Henri had a tough drive home (she cried most of the way) but she’s been such a happy camper since we got here! She’s been taking breaks from hard rounds of playing to nap on our stomachs. We’ve been very impressed too as she’s gone to the bathroom 3 times outside, and 0 times in the house! 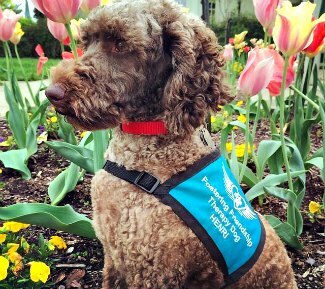 Update: Henri is now a Certified Therapy Dog! 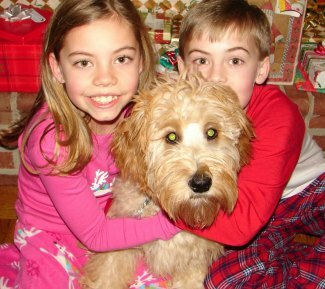 Robyn, My daughter has some more great “just Jessie” photos that we can send along later, but here are a few with the dogs on Christmas morning. Jessie is fantastic- so sweet and smart! She is very athletic and is a great running partner. Last night, I jogged, my daughter rode her bike, and Jessie ran right along side. She always keeps a good pace and stays right with the children. When we go hiking, she can go off-leash and stays with the person in the front, but she always runs back to check on whoever in the family is “last in line” on the trail. She never runs away from us. 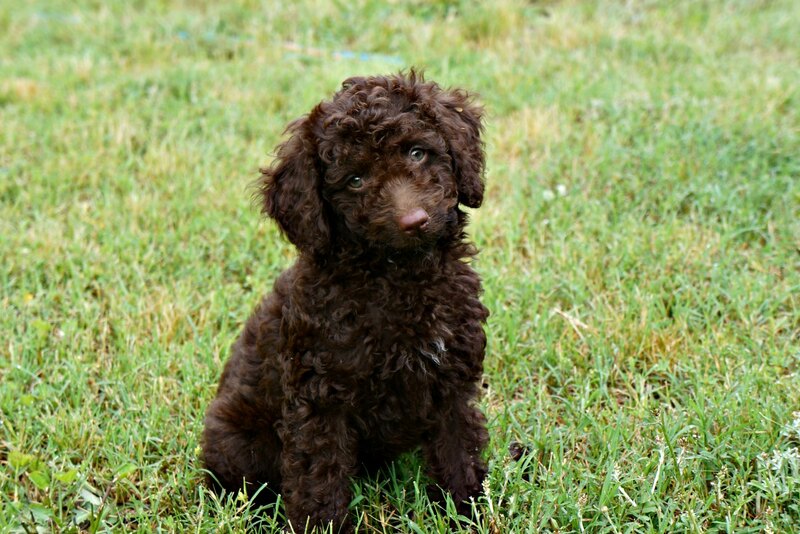 Australian labradoodles come in many colors. here are a few examples. It is almost little Barley's 1 year birthday and I have been meaning to write to you for a very long time now to tell you how amazing the little guy is. First off we LOVE him and thank you so much. He has the best personalty and is such a hit in our neighborhood. People stop us all the time to say how cute he is. From the pics of Gracie and Boone I think he most looks like Gracie. He has very similar facial features to her. Thank you again, you made the process of adoption seamless and maybe one day we can get another pup from you so he could have a brother/sister. If all puppies are like our Barley you are doing a great job!!! :) We love him so much! Baxter is a great dog and he’s a great member of our family and my dental practice! He goes to work with me during the week. We have done three training courses so far and he is very smart and well behaved. One of the courses was to learn tricks and he was the star of that class...a real circus dog! Izzi is a 17 month old Parti ( Boone & Shilo ) , she weighs 23 lbs and the most loving dog we have owned. Goes to work every day and wants to greet everyone that enters our store . Very active , but has yet to be destructive despite her active nature.